Scaled model test in towing tank is a common method to predict the ship resistance in calm water. The scale effects are dominant in these tests because the Reynolds and Froude numbers of the model and full-scale ship cannot be equal. There is a sufficient amount of knowledge about the displacement hulls which have limited speed ranges in most cases. However, scarcity of published data on high-speed crafts is noticed. The influence of the model length on ship resistance varies in different speeds, so it should be studied in more detail. The extrapolation method of model ship resistance to full scale is studied in this paper for high-speed monohulls. Resistance model tests of semi-displacement and planing hull are executed for two different sizes. The frictional resistance coefficient is calculated by ITTC57 correlation line, and the residual resistance coefficient is derived for each case. According to the results, it was concluded that the major part of ship resistance is dedicated to frictional resistance in low speeds for length Froude numbers below 0.3 or above 0.9. In moderate speeds, which are of semi-displacement hulls’ interest, small portion of hull resistance is dedicated to frictional resistance and model size has small influence on the residual resistance coefficient. 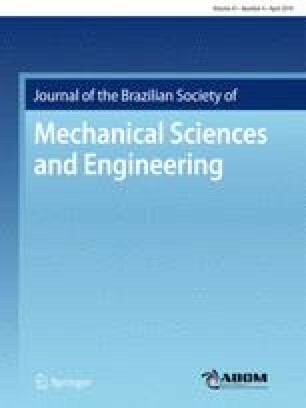 Technical Editor: Jader Barbosa Jr., Ph.D..